Group fitness classes at our Midlothian gym are energetic, fun, and effective! From low impact to high intensity, we have a class just for you. Get in the mood for exercise with energetic group fitness classes at our Midlothian health club. Launch into high velocity classes like Zumba, cycling, and Tabata. Or dial it back with the mind/body energy and body awareness of yoga and Pilates. Are you a senior? American Family Fitness also offers low impact group exercise like Zumba Gold, Strong Bones, and Cardio 30. Kids can enjoy group class action, too, with kid-style dance and yoga classes. At our gym, we have services and amenities for everyone! At our gym in Midlothian, expect group exercise classes that are led by certified and knowledgeable instructors. You'll find high-intensity aerobics and lower impact barre and Pilates. We offer indoor and outdoor boot camp classes, too, and aquatic group classes in our indoor pool. Not sure where to start? 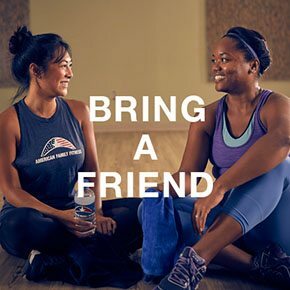 Speak with a personal trainer to help you find your way, or check the Class Schedule page for a program that matches your goals. Before work or after hours, American Family Fitness offers group classes at times that are convenient to your busy schedule. 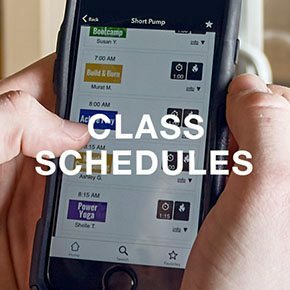 Check out the Class Schedule page and find what works best for you.